My husband and I just completed a fourteen-day cruise on board The Pacific Princess, where I presented a five-part wellness series. 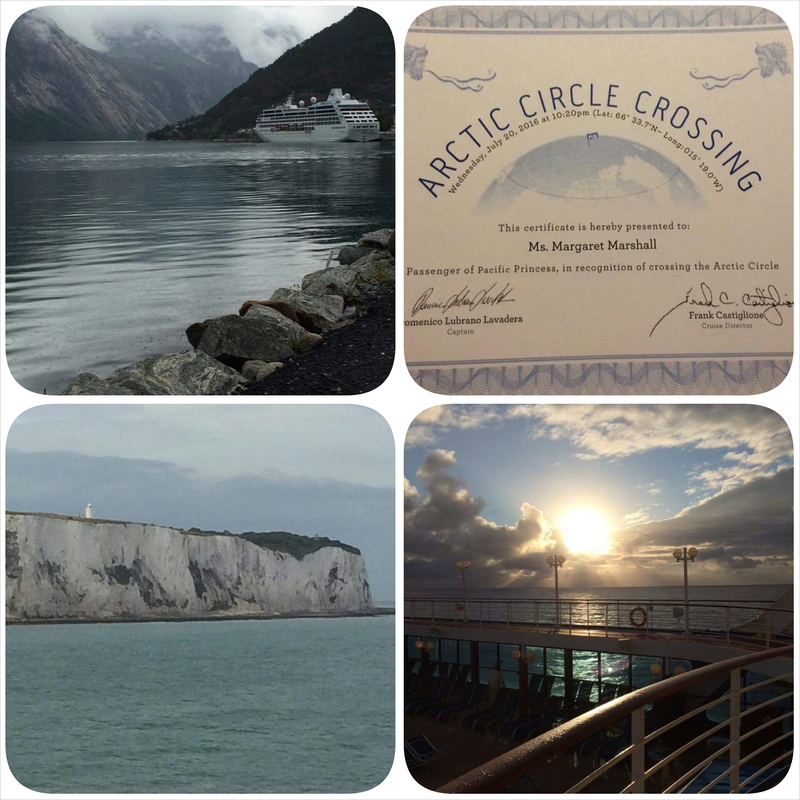 We flew from New York into Dover England to visit The Shetland Islands, Iceland, Norway, and cruise into the Arctic Circle. It was an amazing trip. The wellness programs I presented were well received by a large audience, and those passengers who attended would stop to talk to me during the day to inform me how they would implement the advice shared. One passenger told me she had an epiphany by attending my wellness programs. Their comments warmed my heart and made this trip more enjoyable for me. "Weight loss is more than just counting calories or new recipes," says Margaret Marshall. Losing the weight and keeping it off is a mindset, why a person puts food in their mouth that leads them to be overweight. That's the body, mind, and mouth connection. In her teens and twenties, Marshall faced a weight problem. The discontent in herself grew to the point that she was reluctant to leave the house and be with people. "It wasn't so much how I looked, but how I felt about myself," she says. At age thirty, she joined Weight Watchers. "I tried everything else." The weight came off. Now, she had to keep it off. That's when realization hit. The strength to do so has to come from within, self-esteem. A person has to believe in themselves. Soon after, she began working for Weight Watchers as a receptionist. Within months, the corporate office requested that she become a speaker for Weight Watchers. She entered their training program to become a speaker and trainer. She held that position for seventeen years. Marshall had a mission. She wanted to work with people individually, to help them discover what inhibitions and issues lay within them that are standing in their way, and then to overcome them. In 2004 she founded Margaret Marshall Associates, Inc, where she sees clients and much more. Marshall does guest spots on radio and television. She writes articles on weight loss and weight control, wellness, stress management, and the importance of proper sleep. She writes a blog for the Huffington Post. She gives workshops and hosts wellness classes. She speaks at conventions, colleges, and corporations about wellness in the workplace. Her dream is to have her own TV show called, "Why Weight". "I can see it along the lines of The Super-Nanny or The Dog Whisperer, she says. Her idea is to go into homes and teach families about healthy living. Her first book, Body, Mind, and Mouth explores that connection. In May 2016, her second book, Healthy Living Means Living Healthy was released. It was Amazon's #1 New Release on Health Teaching Materials. Her Five-Finger Food Guide is a 30-page instructional manual on how to eat a balanced diet. It allows each person to choose their own food. This year speaking on cruise ships was added to the itinerary. 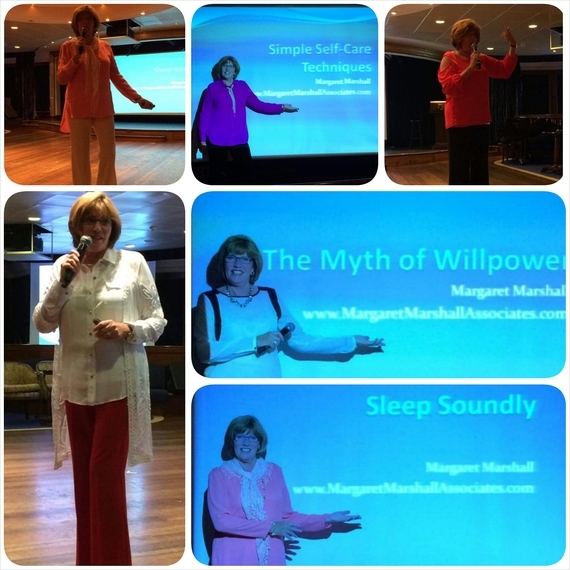 In February, she did a 6-part wellness series on a Caribbean cruise. In mid-July, she toured the Arctic Circle. "I can't do more than two a year, since I can't spend that much time vacationing." says Marshall. How does she juggle all this? "I make the time," she says. "It's called balance. Balance is crucial." If somebody had told Marshall thirty years ago, what she'd be doing today, she mightn't have believed them. "To have the ability to touch hearts and lives, and change them for the better in such a grand way, is something I take very seriously."